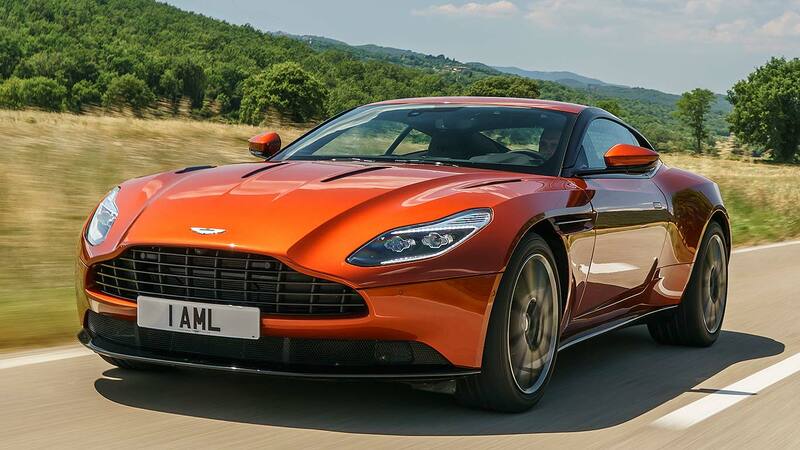 The Aston Martin DB11 is the British firm’s replacement for the aged DB9. A 2+2 GT sports car, it’s the first genuinely all-new Aston in more than a decade and, says CEO Dr Andy Palmer, is perhaps the most important car Aston Martin has ever launched. The future of the company rests on its broad, voluminous shoulders. 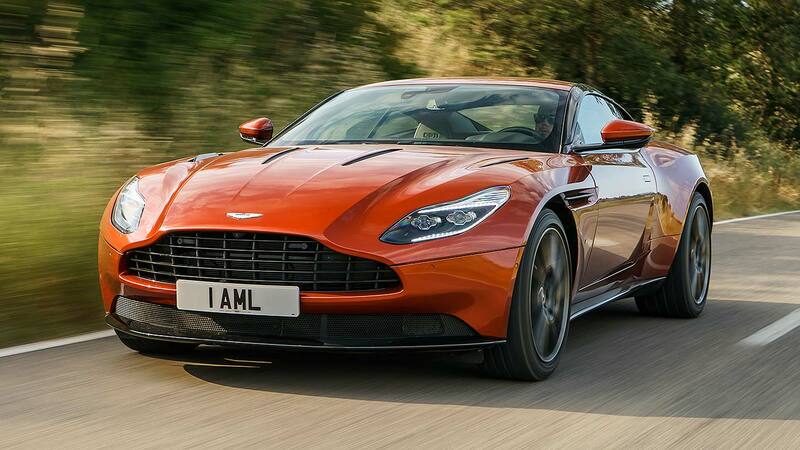 Its arrival heralds the start of Aston Martin’s so-called Second Century Plan. An entire range of cars will spawn from the technological wizardry of the new DB11. In quick succession: a new Vantage in 2017, a new Vanquish in 2018 and its first-ever SUV, the DBX, from 2019. Needless to say, the DB11 is beautiful. Crisply cut, with balanced proportions, it’s a substantial and striking machine with an elegant aggression that’s very British, very Aston Martin. No Italian fuss or Germanic iciness here. It’s roughly the same length as a DB9, but wider, with a longer wheelbase. Indeed, it’s striking how ‘old, familiar Aston’ the DB9 looks alongside it (Aston had one at the launch to demonstrate this to us). 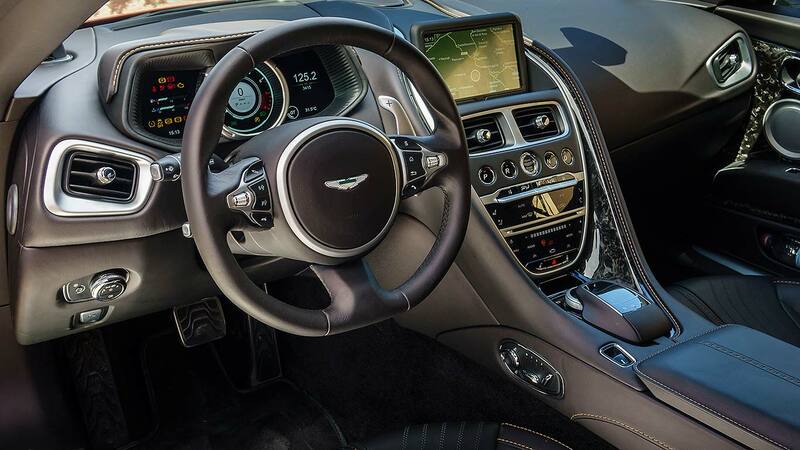 Praise the heavens, the interior is all-new, endowed with Mercedes-Benz electronics and an infotainment system that modernises Aston’s stone-age sat nav and control layout at long last. 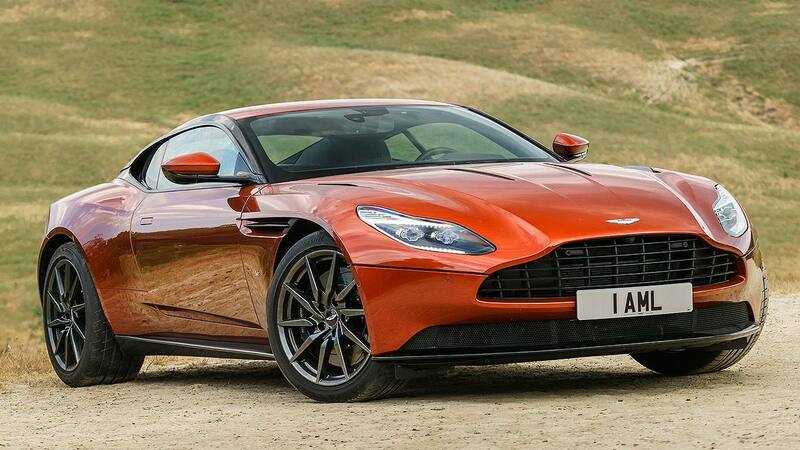 It’s set within a similarly beautiful cabin that will have DB9 owners swooning. 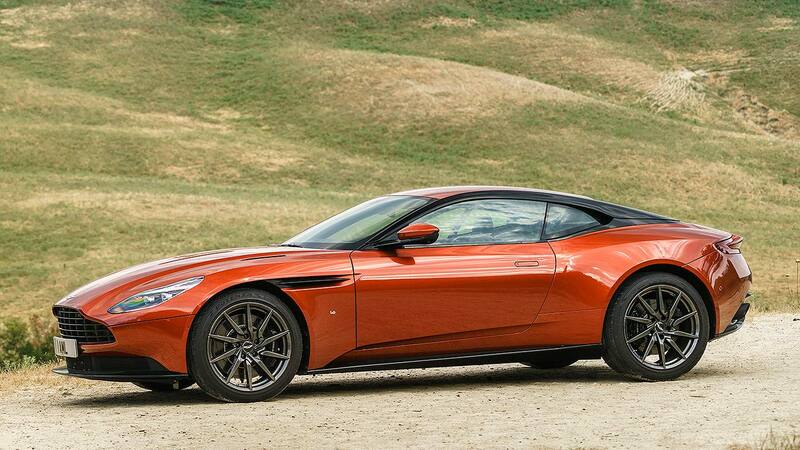 The quantum leap Aston Martin’s made here is immeasurable. First things first, stepping into that all-new interior. It’s bliss. For starters, you don’t have to step over the handbrake (it’s now electronic), and you’ll also find a bigger, much more open cabin to make life easier. Comfortable, supportive seats (trimmed in the most gorgeous soft leather) go nice and low, pedals and steering wheel are well placed and the glassy, airy cabin has a great view forward and to the side. The old model feels like a cramped cocoon by comparison. And it feels suitably special, too? Materials and build quality is exceptional, an enormous step on even from the well-assembled old car. That one used bits from the Ford parts bin. This one uses Mercedes-Benz components, delivering the step-change in integrity you’d imagine. This one also benefits from 2016-era premium feel, not 2005. Boy, it shows. Everything is beautiful to the touch – it’s a really tactile car, the DB11. 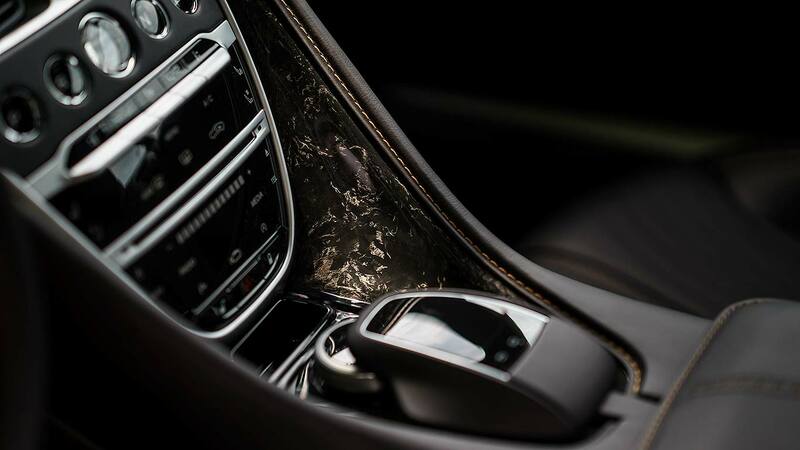 The datedness of the DB9 is gone and you’ll delight in operating every control. How about the Mercedes-Benz bits – do they stick out? The electronic architecture is Mercedes-Benz, but only the infotainment system loudly shouts this. And as previous Aston infotainment systems have been mediocre, suddenly having an S-Class system to hand can only be a good thing. If you drive a Benz, you’ll recognise the column stalks, some of the centre console graphics and a few other details. But it really doesn’t look like a Merc-ified Aston. The way Aston’s given the TFT electronic dials its unique own look is top notch. 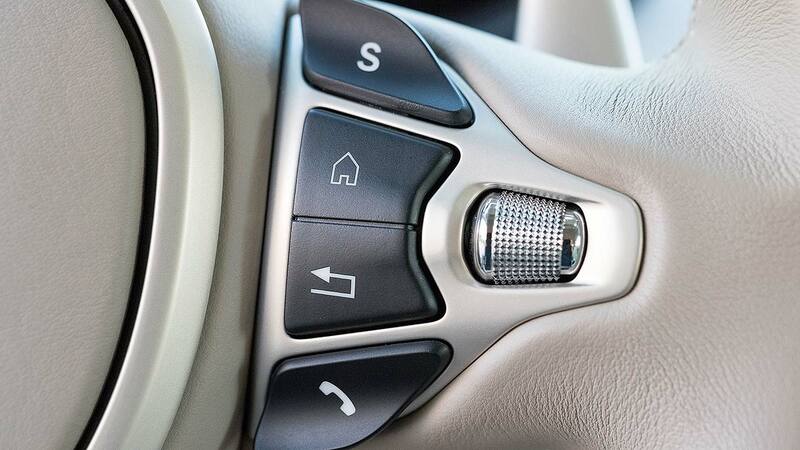 In the middle of it all is a new Aston centrepiece – a glass starter button. Yes, a glass starter button. You don’t have to insert the glass keyfob like on the old car, so starting it up is immeasurably less fiddly. 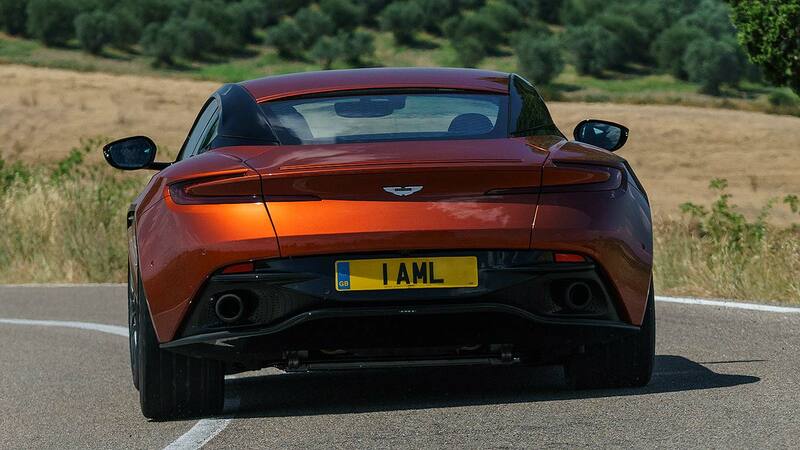 So press it: ah, there’s the Aston Martin exhaust thwap, sounding like it’s clearing its throat as it fires up. There are twin turbos, but they don’t numb the start-up drama much (however if you press and hold the button, you can now have silent start – the neighbours will love the DB11, 5am commuters). It may sound good, but is it quick? The old 6.0 V12 was a bit peaky. Do you have to rev this hard? Perhaps the biggest step on for the DB11’s engine is its pulling power. The twin turbos mean the engine responds low down in the rev range, rather than demanding a few downshifts and a howl of revs. This makes it much the faster car in everyday driving. 516lb ft of torque is there from 1,500 – 5,000 rpm; surge is there with just small brushes of the accelerator. If you’re used to the old car, you’ll swear this has more than 608 hp (or weighs less than 1,770 kg). You can still rev it, and the noise is glorious, with power like a waterfall. You just don’t have to in order to make progress. Have turbos spoiled the purity of the V12? You’re vaguely aware of the turbo whoosh, but they don’t spoil the effect of the V12; there’s still enough burble getting through. They don’t hoarsely rasp and whistle at higher revs like in some other performance cars either – it’s a very subtle turbo installation. Besides, it’s still a 5.2-litre V12 feeding them, so there’s still a lot of natural shove from the motor. The response to the accelerator is also sharp, even if the syringe-like precision of the old car isn’t quite there. 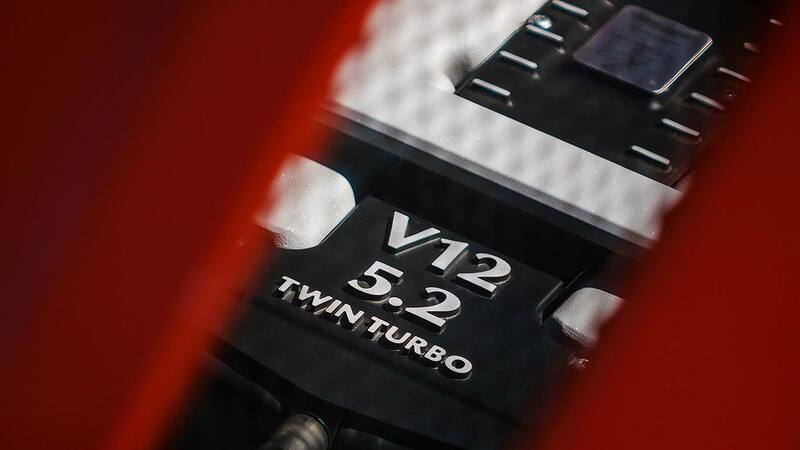 The natural V12 noise is, varying as you go on and off the throttle like real noise does. Perfect. Tell me about the important bit: how does it drive? What does it handle like? Can a car be described as elegant through corners? The Aston Martin DB11 can. It’s such a measured, roll-free machine, entering bends cleanly with firm support from the steering and no softness from the suspension, never behaving with anything less than perfect manners. It’s fingertippy, much easier to glide and guide than the wrists-and-elbows DB9, and the taut finesse this big, muscular 608hp car displays is distinctive and very rewarding. You described the old DB9’s steering as divine, I recall. What’s this like? The steering is very accurate and linear. This is Aston’s first use of electric power steering, and it’s pretty good, with a calm and natural feel. The ‘chatter’ of the old car is gone, sadly, so enthusiasts will feel some of the detail and engagement is unfortunately no more. But most owners will appreciate the crisp, precise directness of this new system. But it’s certainly big. How does it cope with that through bends? The DB11 is undoubtedly a large car. It’s very wide, at 1,940 mm – that’s almost Range Rover width – and 4,739 mm makes it jolly long as well. Thankfully, the steering’s accuracy means it’s not intimidating or clumsy on narrow roads, while the feedback through the stiff platform means you don’t have to second-guess exactly where the extremities are. This is sports-car-like feedback, the sort of clarity you choose a car like this for. The DB11’s new platform has enhanced the level and quality of information being sent back to the driver. Which you’ll be thankful for on that notoriously narrow but fun backroad you so enjoy driving. Does it cruise as a good Aston Martin should? And is it a fine-riding GT car? Like all good British cars, the DB11 is adept across broken, undulating roads. You may well be driving sinuous routes more quickly than you first realise, such is the engine’s willingness to deliver drive, but the surprise will be from the speedo rather than the car checking or chocking clumsily. The one observation is, at times, a stiff reaction to Italian-grade potholes and expansion joints. 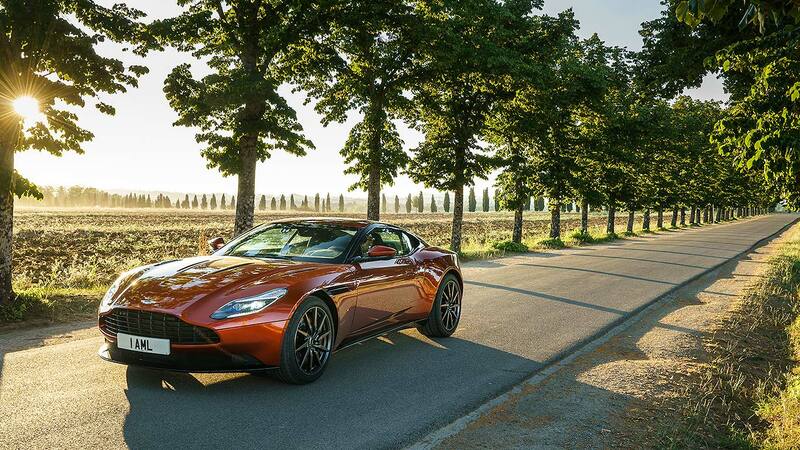 This stiffness you’d forgive in a Ferrari, but it seems to spoil the calmness of the DB11. We know final tweaking is still underway: perhaps this can be tuned out. We’ll make a fuller judgement when we drive it in the UK. Is it still a driver’s car? Compared to the DB11, the old DB9 is about old-school fun and feedback. As its name suggests, the DB11 is a couple of generations on, and some of the stuff drivers liked on old cars doesn’t really fit with modern cars, which have quieter steering, better stability, more pull and less need to for revs. They’ll miss this, but surely will appreciate the far stiffer and more able platform, grip and inch-perfect precision, plus the unruffled nature no matter how hard you fling it down nasty, twisty roads. Don’t forget the reserves of instant-access power from that great, great V12 engine either. Details such as the firm, meaty brake pedal, snap-crack of the paddleshift gearchanges and ease of control when you pass on beyond its high limits are also sure to raise a grin. 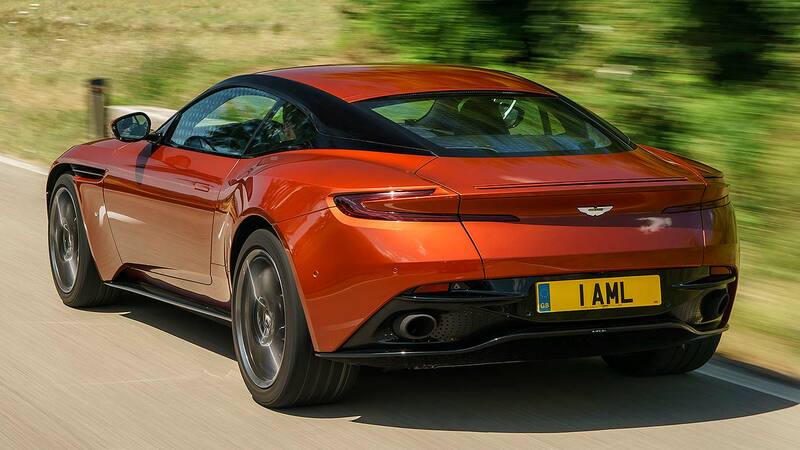 You’ll notice the DB11 doesn’t have a rear spoiler. Instead it has an AeroBlade – a virtual spoiler. Air enters around the rear window, is accelerated and then shoots out of a narrow outlet in the rear deck. Nobody’s ever done this away from the F1 circuit before. Judging by the rock-solid stability at Italian high speeds, it works. Why are the cut-outs around the front side strake so big? 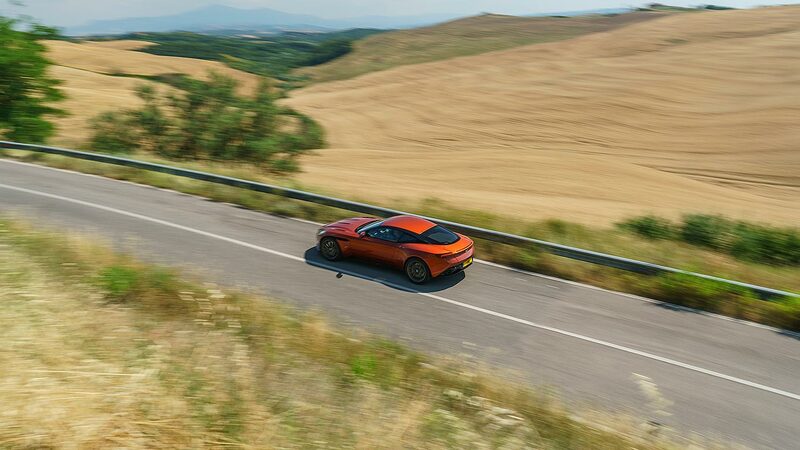 Cleverer aerodynamics exist at the front; the DB11’s surfaces are so simple and uncluttered because the fancy aerodynamics are hidden beneath. Called ‘Curlicue’, it releases high-pressure air from within the wheelarch, which reduces front-end lift. It presses the front wheels into the ground more positively, without the need for unbecoming wings and spoilers. 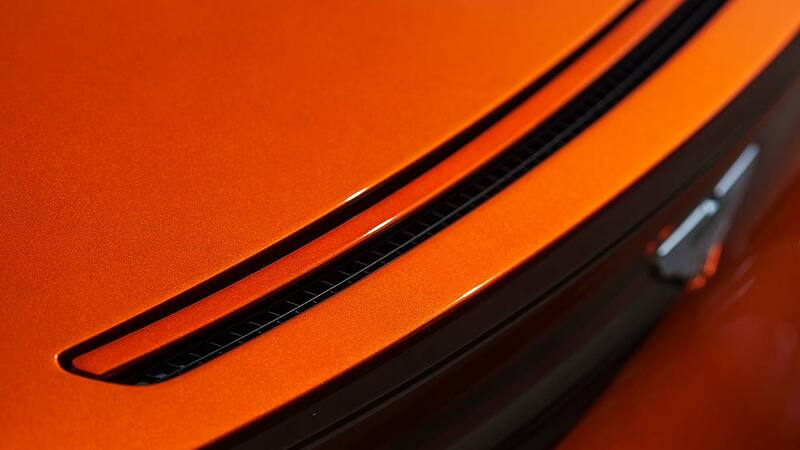 You’ve seen it in the metal, what are your favourite bits about the styling? The DB11 is a striking car, much sharper and form-like than the flatter, more arrow-like DB9. I love the drama of the substantial front end – a clamshell bonnet means it’s not spoiled by shutlines – and the just-visible aerodynamics inlets front and rear are discreet but geeky touches. The shapeliness of the side is a treat to run your eyes over, and I personally think the slightly retro DB6-like height and cut to the rear, modernised with those ultra-narrow LED lights, is great. What’s the everyday stuff like? It’s a roomier, more grown up car to be in, with better ergonomics, more advanced controls, better stowage and even an oddball electric cubbyhole in the centre console. 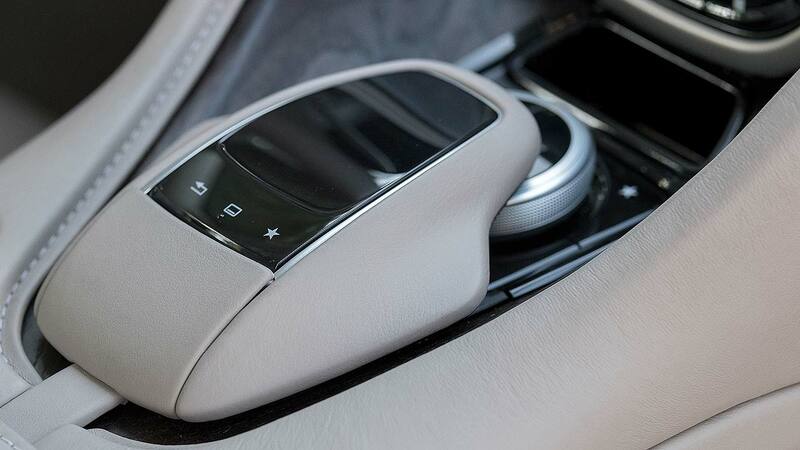 Mercedes-Benz infotainment is magnificent – a complete quantum leap for Aston owners – and using a Mercedes-Benz column stalk is much nicer than an old Ford one. It’s better in the back for small children, although no more than that. Any of the fully integrated sound systems are excellent. Even the boot is a handy 270 litres – again, this will delight former owners. So it’s a package that works? 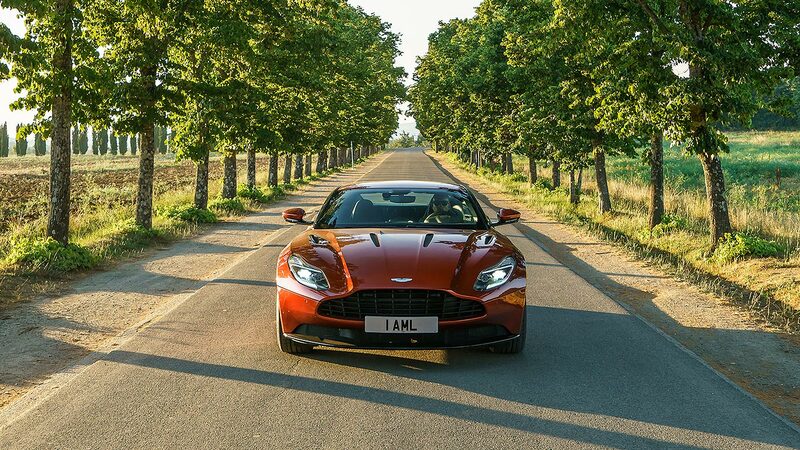 The DB11 is a car that oozes wellbeing. It’s skilled on the road, easier to drive and blessed with a far more flexible engine, but it’s the overall step on in almost every area that really makes it a lush GT car and ties it all together so well. 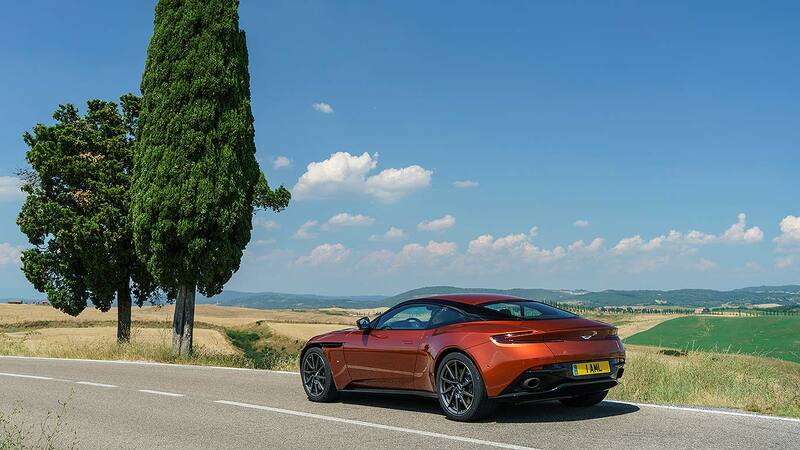 Aston hasn’t been tempted to go and make something space-age or radically different from what went before and the DB11 is all the better for it. But how much better? 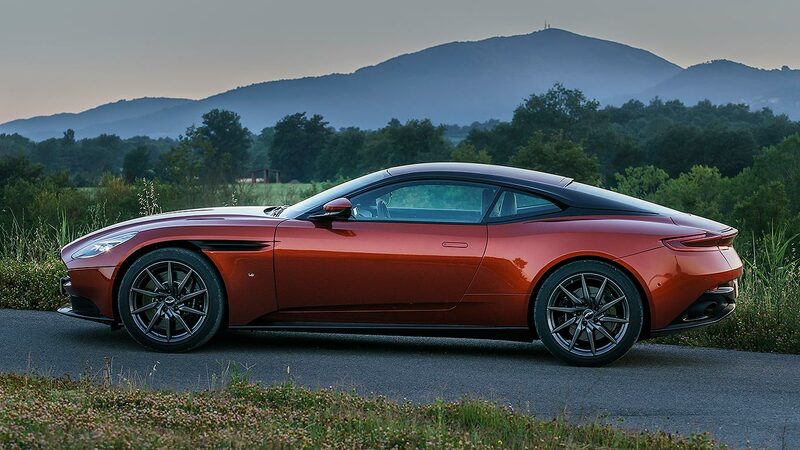 The Aston Martin DB11 is a hugely accomplished car. It needed to be a two-generation step on: it is. The DB11 isn’t a radical diversion for Aston Martin, because one wasn’t needed. We simply needed a newer, better GT car. With the DB11, we’ve got that. 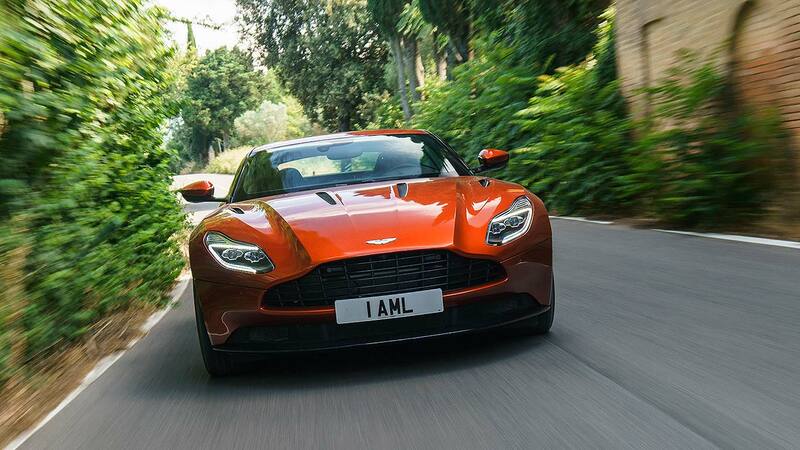 Aston hasn’t missed with this one. 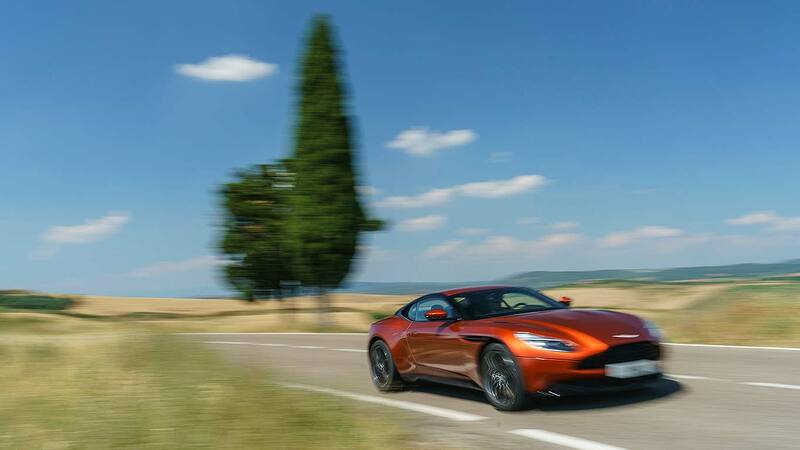 Aston Martin has revealed it’s engineered an all-new 5.2-litre twin-turbo V12 engine for the upcoming new DB11 sportscar – and although it’s partnering with Mercedes-AMG for its new V8 engines, this motor is a completely in-house design. Downsized from today’s 6.0-litre motor, it also gains two turbos; these will improve efficiency, reduce CO2 emissions and, crucially, boost the big motor’s low-down pulling power, always a weakness of today’s engine. 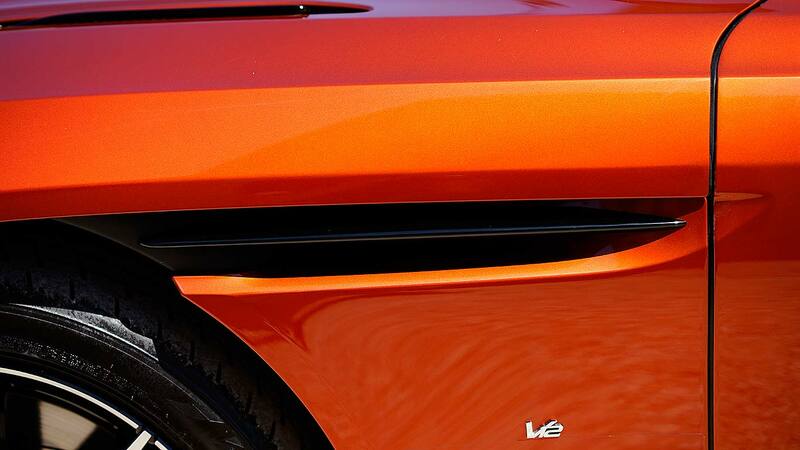 Power will rise too; expect around 600hp, with the potential for much more in subsequent sportier variants. 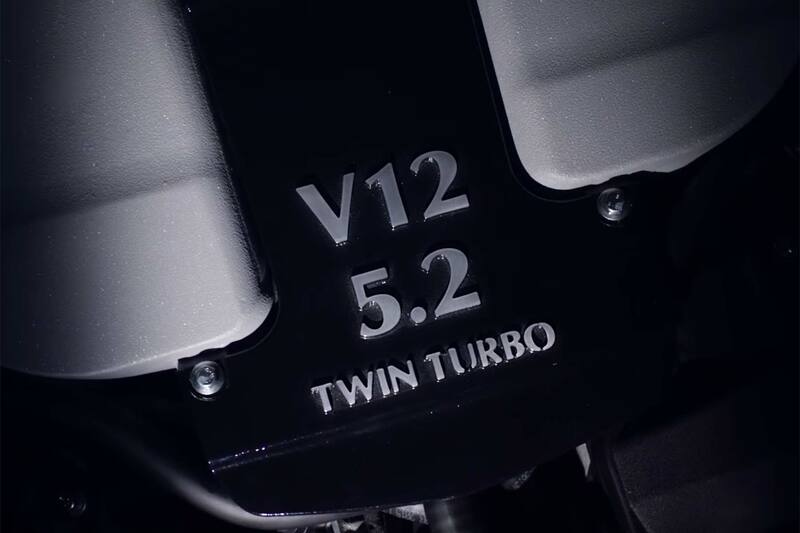 The firm’s released a short video teasing the new engine; this suggests it will rev hard, growl hungrily and generally sound suitably menacing. 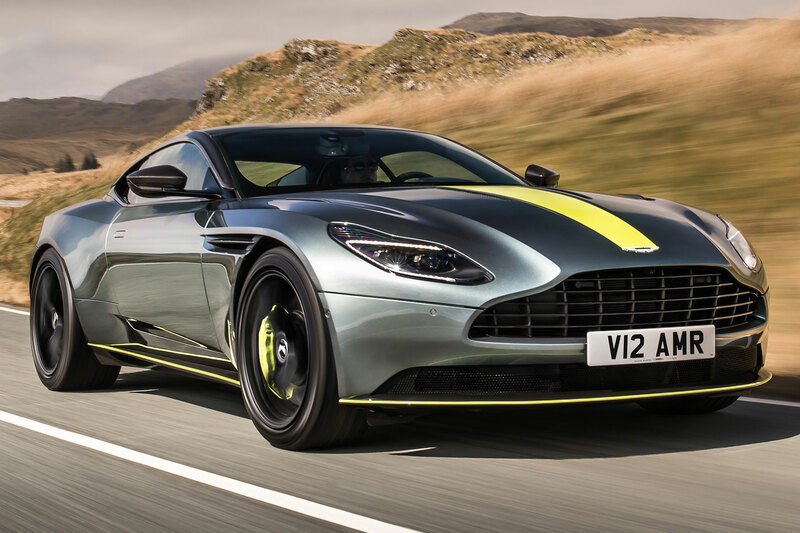 Aston’s not released any firm info and tech specs on the new engine though: for that, we’ll have to wait for the new DB11, expected to make its debut at the 2016 Geneva Motor Show in March. 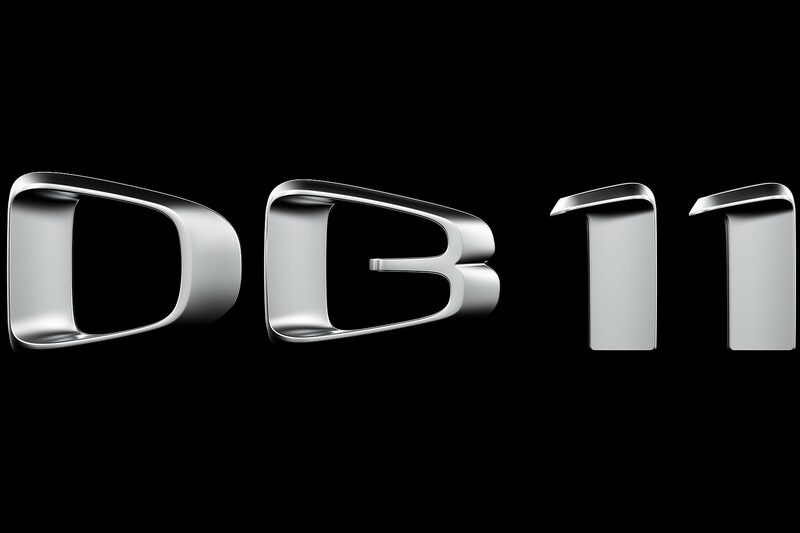 Aston Martin’s replacement for the DB9 sports car will be called DB11, the firm has revealed. Set to go on sale in 2016 – following a possible launch at the 2016 Geneva Motor Show in March – the Aston Martin DB11 will be the first car in the firm’s new ‘Second Century Plan’. This is being led by CEO Dr. Andy Palmer who said that, just as with the DB9 and Aston’s previous expansion strategy back in 2003, the new DB11 will be a central part. “Not only is it a sign of our intention to continue the long line of iconic sports cars that bear the ‘DB’ moniker – the very bloodline of our brand – but it also shows the world our ambitious plan in action. The new DB11 will be the first Aston Martin to use engines and technology from the firm’s new collaboration partner (and part-owner) Mercedes-AMG. This will include the use of a new turbocharged V8 engine, infotainment systems and even, as early spy shots have revealed, the virtual instrument cluster from the Mercedes-Benz S-Class.